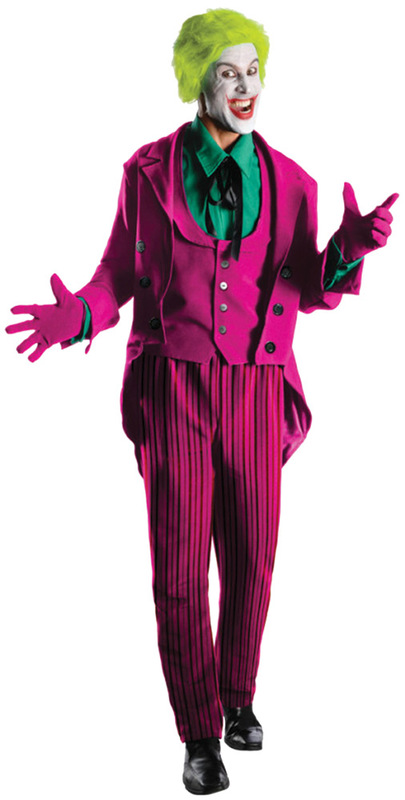 From the classic Batman TV series in the '60's comes this great costume version of The Joker! Jacket with shirt cuffs, vest, shirtfront with tie, pants and gloves. Adult standard fits up to size 44.